Styrax benzoin inhabits the Sumatran region of Indonesia, India, Myanmar, Thailand, Laos, and Malaysia. It is grown as an ornamental shade tree in West Africa. It grows to a height of 12 meters. The tree is a source of benzoin resin. Sumatra benzoin is produced from styrax benzoin on the Sumatra islands of Indonesia. The resin is set in blocks of a dull reddish or grayish-brown color. The balsamic resin has a strong storax-like odor, quite distinct from the vanilla odor of the Siamese variety. The Siamese variety of benzoin is produced from Styrax tonkinensis, a species in Vietnam, Thailand and Laos, and Cambodia. S. tonkinensis is vanilla scented, with a reddish yellow outside and milky white inside. It grows to more than 20 meters in height. Much of the benzoin produced from these trees has impurities and is used primarily in manufacturing. The higher-quality benzoin is used in perfumes. The FAO (2001) estimates that 50 metric tons of Siam benzoin are exported annually from Laos and Vietnam. Pure benzoin exports are half that amount. 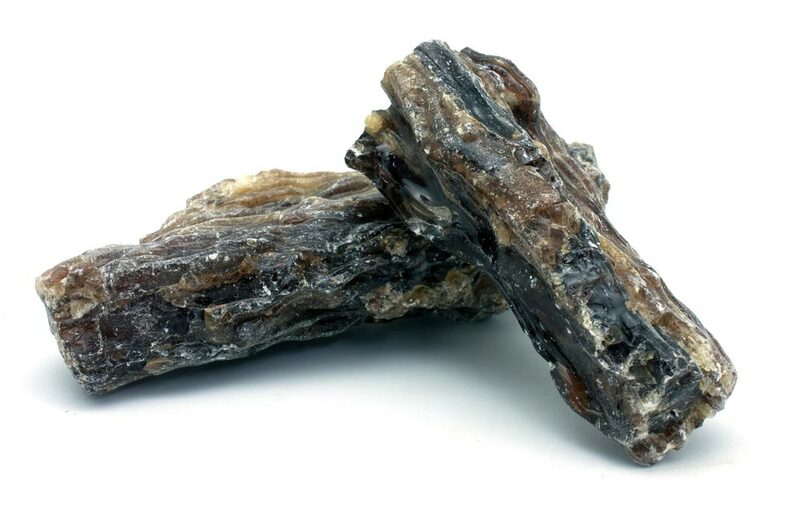 China produces some benzoin, but it is largely consumed locally and not exported. Both Siamese and Sumatra benzoins are popular in incense and perfume. It blends well with frankincense, sandalwood, cedar, and citrus oils. Extraction of resin is done by making a deep incision with an axe on the trunk of the tree when it reaches seven years of age. The wound must be deep enough to expose the cambium canals. The sap is then dried for about four weeks, and the tears are collected and packed in tins or boxes. The first three years of tapping yield the best resin, though the tree continues to yield benzoin for another 10–12 years. At the end of the tree’s life, it is cut down and its resin scraped off. Average annual resin yield from a tree in Sumatra is 1.5 kilograms. A 2001 Food and Agriculture Organization (FAO) study of Indonesian export data estimates the annual export of Sumatra benzoin at 1,000 metric tons. Most S. benzoin resin is used by the cosmetic and food industries. Benzoic acid is used as a food flavoring and preservative. In Indonesia, the product is sold as frankincense, although true frankincense comes from Boswellia species. This nomenclature only adds to the confusion regarding the actual origin of stacte.